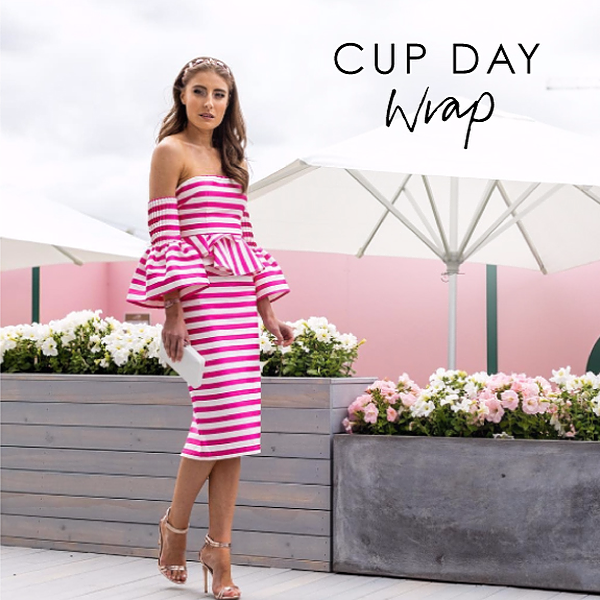 On a dreary Melbourne morning, there were plenty of beauties track side to brighten up Melbourne Cup day 2017. 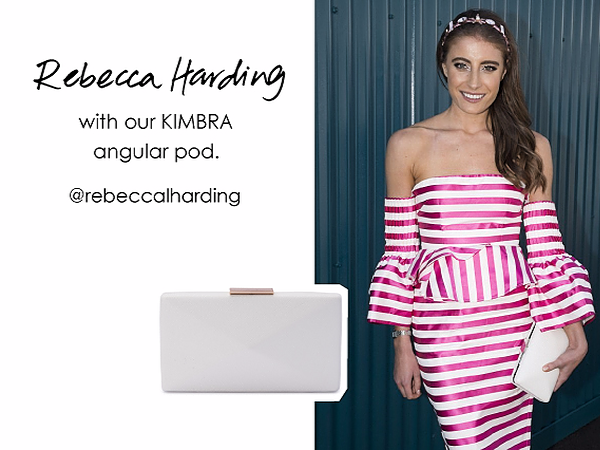 Rebecca Harding was our pick for Best Dressed in an Asilio candy striped off the shoulder number in the colour of the season: Pink. 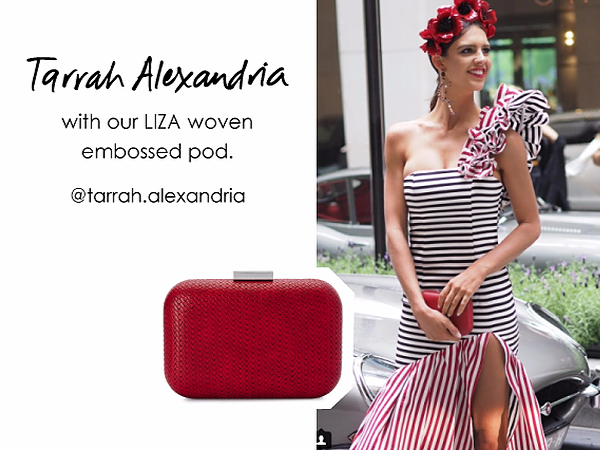 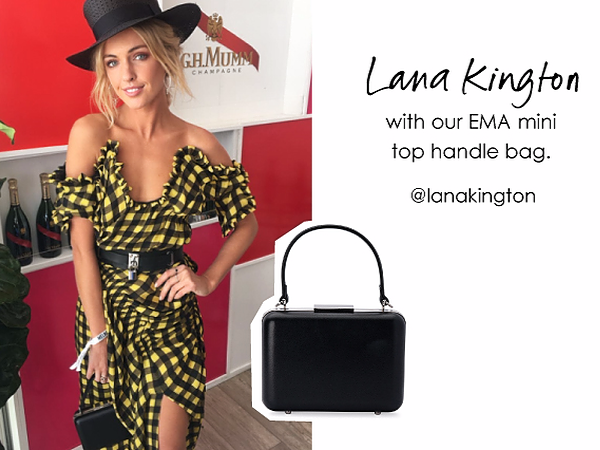 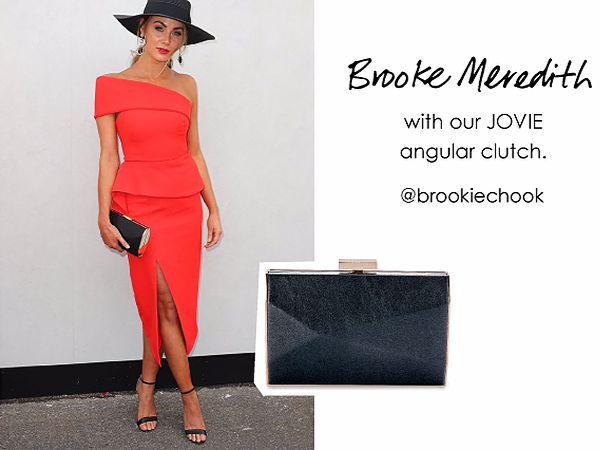 See below for other highlights including Tarrah Alexandria also in Asilio and Brooke Meredith in capsicum Red with Black accessories.